Upon entering the Army, his name was Harold. Harold took basic and advanced training at Fort Jackson, in South Carolina. It was during his advanced training, he met and married the former Jean Ford, of Orangeburg, S.C.. Jean was a student at Columbia College, located in Columbia, and she was training to be a teacher. Harold remained in the Army until his retirement in August 1979, at the age of 45, with the rank of master sergeant. Harold and Jean have 3 sons: Michael Wayne, was born September 28, 1957 at Fort Bragg, N.C.; Johnny Daniel, was born in the Army hospital in Orleans, France (Or lee ons) on September 5, 1960. Terry Allen was born on Ground Hog Dog, February 2, 1966 In the Army Hospital in Wurzburg, Germany. While on active duty, Harold served in Public Relations, as a journalist/photographer, journalism instructor and an instructor in public speaking. In the states, Harold was stationed at: Fort Lee, Virginia; Fort Slocum, New York; Fort Bragg, North Carolina; Fort Gordon, Georgia; Fort Benjamin Harrison, Indiana; Arlington Heights in Chicago and Fort Ritchie, Maryland. Overseas, Harold was stationed in Orleans, France; Wurzburg, Germany; Vietnam; Panama and Hawaii. Harold's . After retiring from active duty, Harold went to work for the Government at Fort Benjamin Harrison, in Indianapolis till April 1986. Harold W. Summers Passed away March 18, 2009 at St. Francis Hospital following a lengthy illness. Harold was born in Brunswick , Maryland January 29, 1934. He was preceded in death by his parents Harold and Blanche Summers, brother Gene, and first wife Jean. In his younger years Harold was active in all types of sports, especially basketball and baseball. After high school he played baseball for Brunswick of the Maryland State League. Harold was employed at the Coca Cola Bottling Company in Frederick , Maryland for three years. Following his employment with Coca Cola, Harold was employed by the Baltimore & Ohio Railroad in Brunswick as a yard clerk. Harold was drafted in to the Army in August 1956. He completed basic and advanced training at Fort Jackson , SC. He married the former Jean Ford in December 1956. Harold and Jean had three sons, Michael, Johnny and Terry. 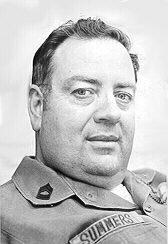 Harold remained in the Army for 23 years, retiring in August 1979. Harold was a member of the American Legion in Franklin , IN , Veterans of Foreign Wars Post 6978, Indianapolis Valley of the Scottish Rite and Murat Shrine Temple . Harold was raised to the sublime degree of Master Mason in Wurzburg , Germany in March 1965. He transferred his membership to Mystic Circle Lodge in 1967. He transferred his membership to Franklin Lodge #107 after moving to the Indiana Masonic Home in 1992. Harold married the former Carole Walker of Indianapolis on April 2, 1999. He is survived by his wife, Carole, sons Michael, Johnny and Terry, stepchildren Tammy Brown, Cindy Bradley, Sherry Tavis, Brian Bradley and Donald Walker. Visitation will be Friday, March 20, 2009 from 4:00-7:00pm in Ransford Chapel at the Indiana Masonic Home with the Masonic service at 7:00pm. Harold will be laid to rest at Washington Park East Cemetery on Saturday, March 21, 2009 at 10:00am with graveside services and military honors. Arrangements have been entrusted to Flanner and Buchanan Funeral Center � Washington Park East.